I meant to post when I got home from our adventures yesterday but I ended up going right to bed. So here goes... Hooray for Fridays. I snuck out of bed early to do actual work that I can get paid for yesterday instead of doing something more interesting like yoga or sewing, but it actually felt nice to be productive. Once the muchkin was up my productivity dropped but I still managed to find time to do a little sewing yesterday. 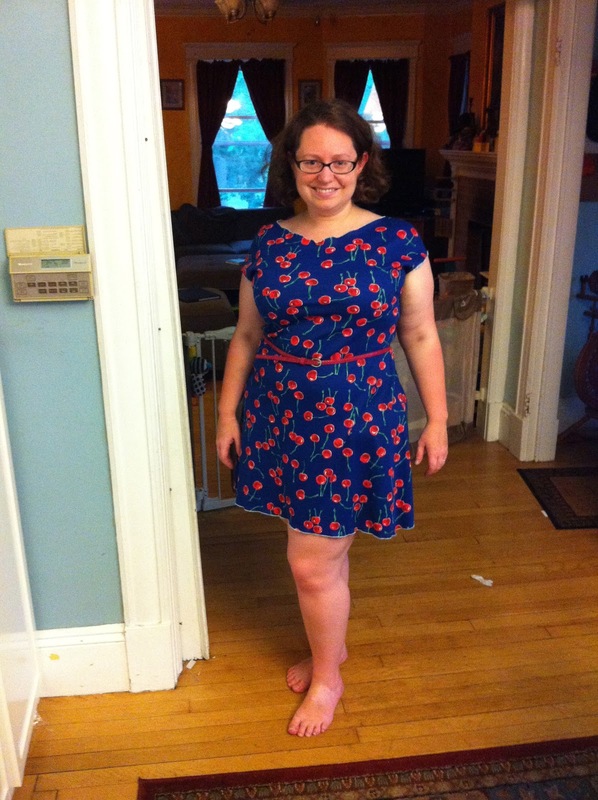 A few weeks ago I bought this wonderful dress at the Paradise City Arts Festival. 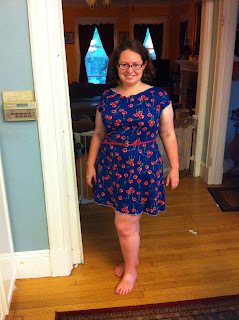 I justified its rather pricy tag by telling myself I could copy it to make more cute summer-y dresses. 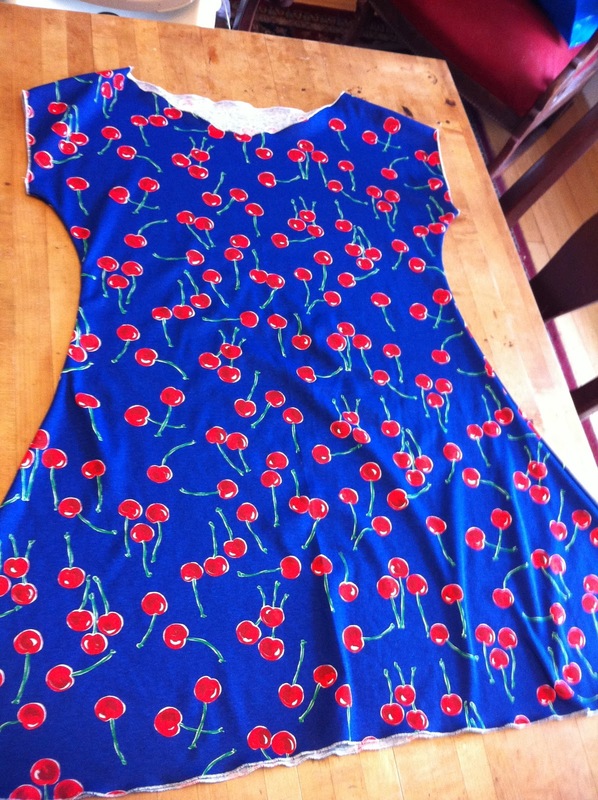 I had a ton of this really cute cherry fabric I found for $1.25 a yard at Osgood's Textiles a couple months ago. This came together so quick- 4 seams and rolled hems on all the exposed edged. 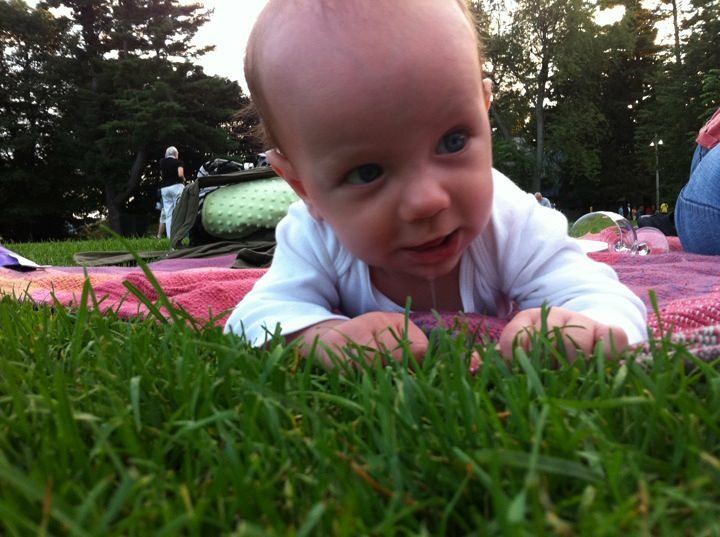 Super cute and super easy. I think the shape is really flattering. 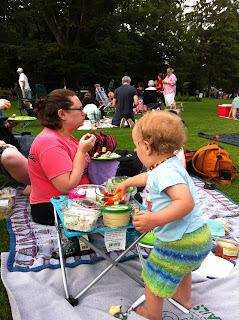 Friday evening, we went to Tanglewood to see Yo-Yo Ma and the Silk Road Ensemble. One of the best things about living in Western Mass is that we have such easy access to wonderful art, music, and dance. Tanglewood is one of my favorite parts of the summer. I love that they are kid friendly. It was awesome to see so many kids there last night. The munchkin had a blast- playing in the grass, enjoying our picnic, and dancing to the music. The concert was amazing and thankfully the rain held off and it was a beautiful evening. 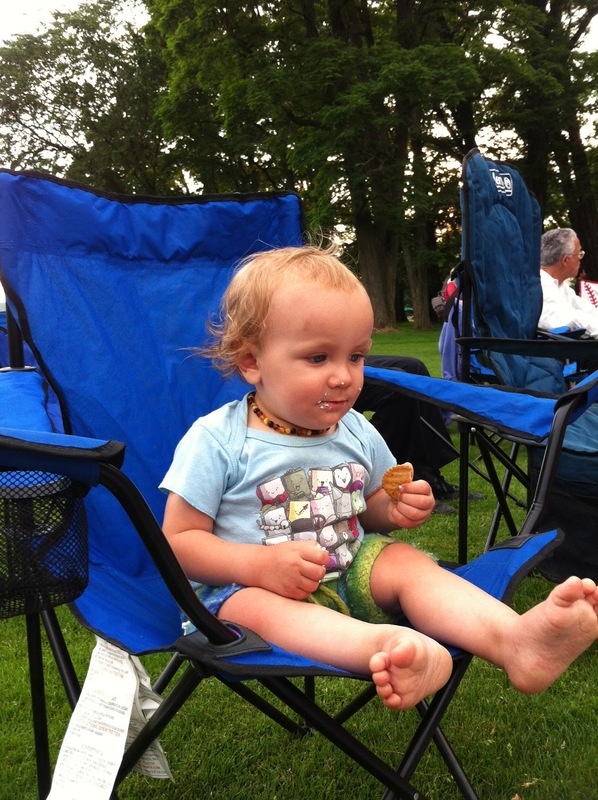 A reporter for a local newspaper interviewed us about what had brought us to Tanglewood that night and she asked if it was the Munchkin's first time to which we replied "nope we had him here at about 4 months." Here's proof. Today is mountains of laundry and then going out to dinner with friends. How quickly I fall out of the habit.